RB Leipzig are now six points clear of Bayern München. Leipzig have won seven games in a row. RB Leipzig show that they are the real deal, as they continue their winning ways with a sensational performance against SC Freiburg. It was a sensational start for RB Leipzig with Naby Keïta opening the scoring with a wonder strike from 25 yards right after the starting whistle. Leipzig remained relentless pressing for the second goal, but it was Freiburg, who would score next when Florian Niederlechner headed home a sensational delivery by Pascal Stenzel. 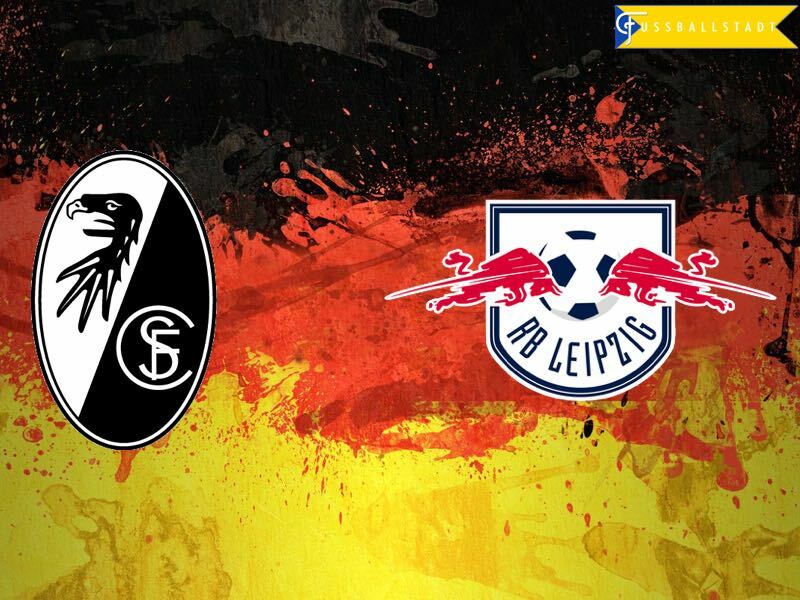 Leipzig, however, were not shocked, and Tobias Werner fired Leipzig back up front with a sensational finish, and then added another goal shortly after when he escaped Freiburg’s defence, and curled the ball passed the outstretched Alexander Schwolow. Following a corner, Freiburg almost pulled one back early in the second interval, but Nicolas Höfler’s close range shot hit the crossbar. Leipzig could have added a fourth early, but a close range shot by Emil Forsberg failed to hit the target, and Marcel Sabitzer hit the post after a wonderful run in the box in which he rounded Freiburg keeper Schwolow. Sabitzer, however, would not be denied on his next attempt, as his wonderful low drive beat Schwolow at the near post to complete Leipzig’s stunning victory over Freiburg. Tobias Werner was the best player on the pitch. The young German forward scored two wonderful goals, and was a constant threat to Freiburg’s defence. The young German striker is making a strong case for himself to be called up to Joachim Löw’s national team. Leipzig continue their unbeaten streak in their maiden Bundesliga season, as they become the first promoted team to win seven games in a row. The club remains undefeated after matchday 12, and before the Saturday fixtures is six points clear of second placed FC Bayern München. The Leipzig story continues to cause waves in Germany with the country being divided on whether or not the club’s rise to the top is good for German football. But the controversy in itself has brought the focus back to German football, as international outlets in particular have started to take an interest on Red Bull’s project in Germany. With an average age of just 23.9 RB Leipzig fielded the youngest squad in this season’s Bundesliga. Naby Keita scored the earliest goal for Leipzig in the Bundesliga (after 2 Minutes). In three games in Freiburg Tobias Werner scored five goals, as many goals as in 48 Bundesliga-matches in Stuttgart. Freiburg have never won a Bundesliga game that they trailed by two goals.